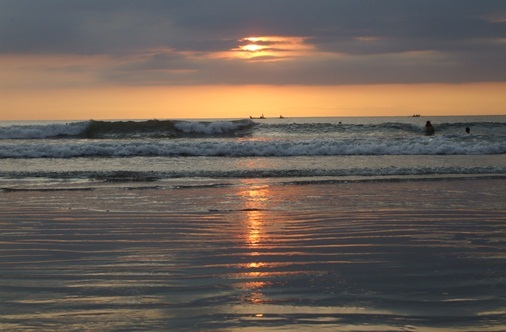 Kuta Beach Bali is also known as Sunset Beach. This shoreline is a home for sea turtle conservation and its turtle release programs. The sea turtle release is done when it was still dark and depending on the number of hatchlings should be released. Turtle release in Kuta is an exciting activity and kids are prioritized to release the baby sea turtle or hatchlings into the sea. Kuta Beach Sea Turtle Conservation Centre is a conservation center that has turtle hatchery programs. This turtle sanctuary Kuta aims to protect and improve the hatching turtle eggs. The conservation program was started in 2001. Let's take a closer look about the sea turtle sanctuary in Kuta! Naturally, eggs and hatchlings produced by female turtle will be left to fend for themselves and find water after emerging from the sand. The relocate is done due to some reasons such erosion, tide, tourist activity, wild dogs and so on. After completing the laying eggs process, the conservation will relocate it. Turtle eggs will hatch in cold temperatures at night. Furthermore, these hatchlings will be released the next day. Sea turtle nesting season at Kuta start from March to September each year. The eggs take 45-60 days to develop, hatch, and become hatchlings. The hatching season occurred during April to October. As many as 80% of turtle eggs are successfully hatched and released into the sea. 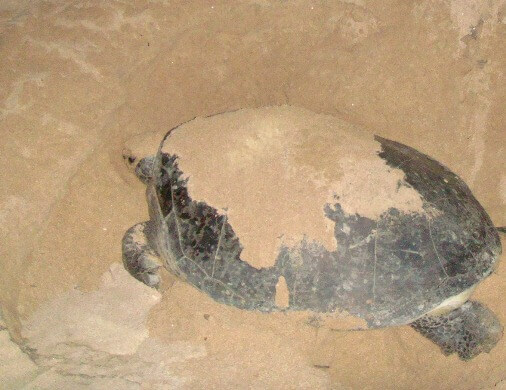 The peak turtle hatching season occurred in June, July and August each year. The baby sea turtle release in Kuta Beach Bali occurred during this month. The conservation will release the hatchlings nearly every day. 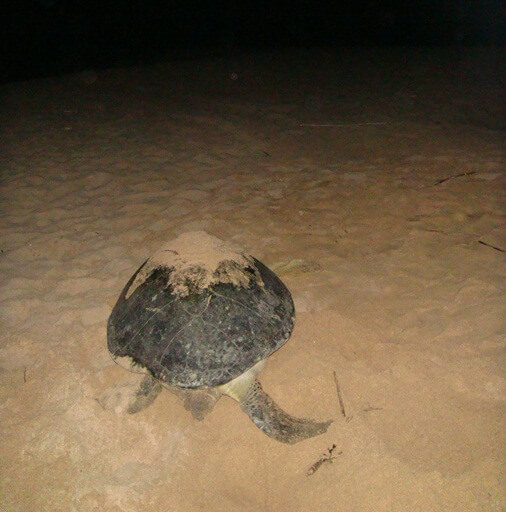 The turtle release is done when it was still dark and depending on the number of hatchlings should be released. Usually around 4:30 pm. Kuta turtle release is an exciting activity and invites tourists to participate. Kids are prioritized to release the hatchlings into the sea. When the nesting season starts, the female turtles emerge from the sea at night to reach the beach and finding a location for a suitable nesting site. She digs the sand by using all four flippers. Then she will dig an egg chamber using her rear flippers. Once the chamber is formed, she will begin contractions and her rear flippers rising off the sand. In each contraction, she will drop between one to four eggs. Once this process is complete, the nest will be closed again with sand. The female turtles will leave the nest, heading to the beach and swim back to the ocean. Average turtle will lay about 110 eggs in each nest. The females will lay eggs and make a nest about 2 to 8 nests in one nesting season. Then the egg nest is relocated by the conservation to the Kuta Beach turtle hatchery. 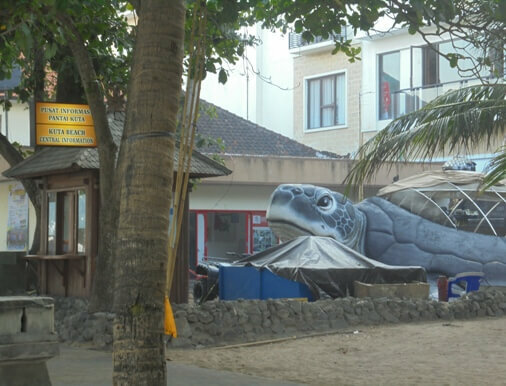 Kuta Beach Turtle Hatchery is located approximately 100 meters from the beach near the Hard Rock café to the south toward Discovery Shopping Center, next to the Security Office. 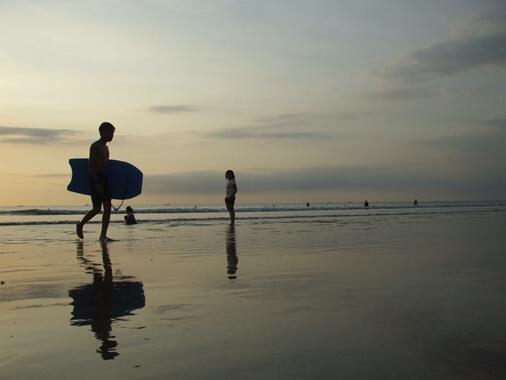 Kuta Beach is located in the District of Kuta, Badung Regency, Bali. This beach location is about 14 Kilometer from Nusa Dua (about 20-25 minutes) and 3 Kilometer from Ngurah Rai International Airport (about 15 minutes). This beautiful beach is close to other famous beach such as Legian Beach and Seminyak Beach. Kuta Beach area is influenced by Moderate Climate (D type climate based on Schmidt-Ferguson climate classification maps). Moderate Climate have a humid season which begins from November continues to April. Dry season runs from April to October. The month of November become the turning point to rainy season. The district of Kuta has high rainfall on the month of December, January, and February. Average temperature in Badung Regency range from 22,8 - 32,9 degrees Celsius. Wind speed range from 4,2-8,0 knot (about 4,8-9,2 mph or miles per hours). Humidity range from 77-84 %. The beach offers the visitor with a great experience of surfing, diving, and swimming. Walking down on the long golden sandy stretch will grant you an everlasting moment in Bali. The shoreline has a beautiful golden sandy beaches, great accommodations, great foods and drinks, nightlife, surfing, and more. This amazing beach is blessed with a romantic nuance along the sandy stretch created by beautiful sunset. 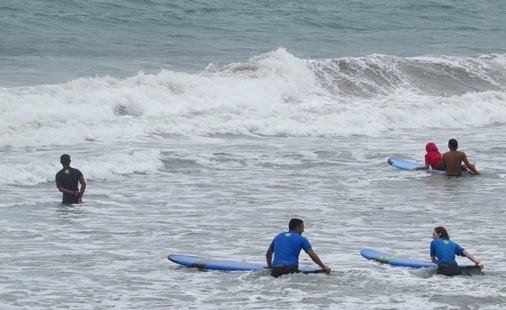 Kuta Beach was originally discovered as a surfing paradise by tourist and notable since 1970s. Supported by tourism facilities, luxury hotel and resorts, great food and restaurants, and the clubs has attracting hundreds of thousands of visitors every year. Kuta Karnival is held during the month of October. The carnival attract thousands of visitors each year, local and international visitors. There are several activity such as Kite Festival, Balinese Traditional Arts, Balinese Dance, Sand Sculpture Competition, Movie Screening and Bali Food Festival. Moreover, there are the Colorful Street Parade activity and Environmental Exhibition. Be prepared join the crowds and meld in the lively event. In the beginning Kuta is a simple and quiet fisherman village. Then it grows with a rapid development. 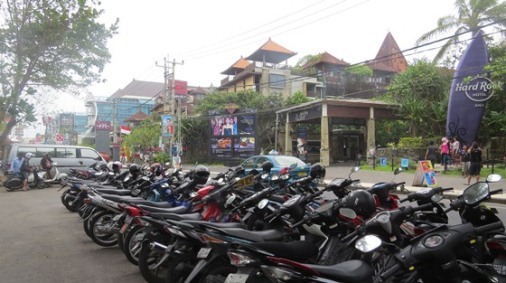 Then Kuta transforms into an area that most people know later as a "hectic and crowded" tourist spot. The various shopping mall, hotel and resorts,restaurants, and clubs rise over the past years. Despite these circumstances gave the impact to the congestion on the main road, this beach still continues to attract visitors every year. Recently the local government has issued some kind of "zoning regulation" to limit the tourism industry growth, so that the local culture and communities in Kuta can be preserved. About the trash pollution issue, the local government has been collaborated with local community include traditional village officer, BALAWISTA, DKP Badung and the tourism industry In Kuta to maintain and keep the beach remain clean and safe for visitor. Take your time to travel to Kuta Bali. Take your opportunity to release the hatchlings into the sea, hopefully helpful and thank you!